Clowns? magicians? jugglers? No more boring parties! Your kid deserves a special birthday. Your kid wants a REAL party. 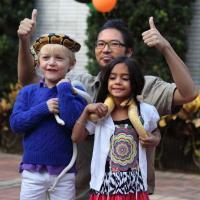 We are proven the most exotic children's party entertainment in Hong Kong, also the first in Asia. From 2004 up to 2015, we have done 2,896 parties for children. 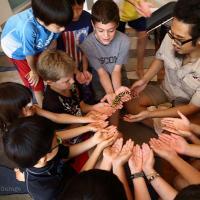 From creepy crawlers to fluffy cuties, with a large variety of animals from all over the world, we can accommodate kids of different ages, genders, and preferences. 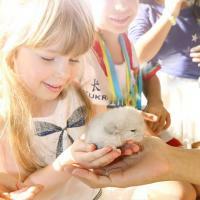 For most of the packages you can choose your kid's favorite animals! Lower packages contain fewer small critters - good for a small home party for only a few kids. Mid-range packages are the most flexible ones that would fit in to most of the parties. 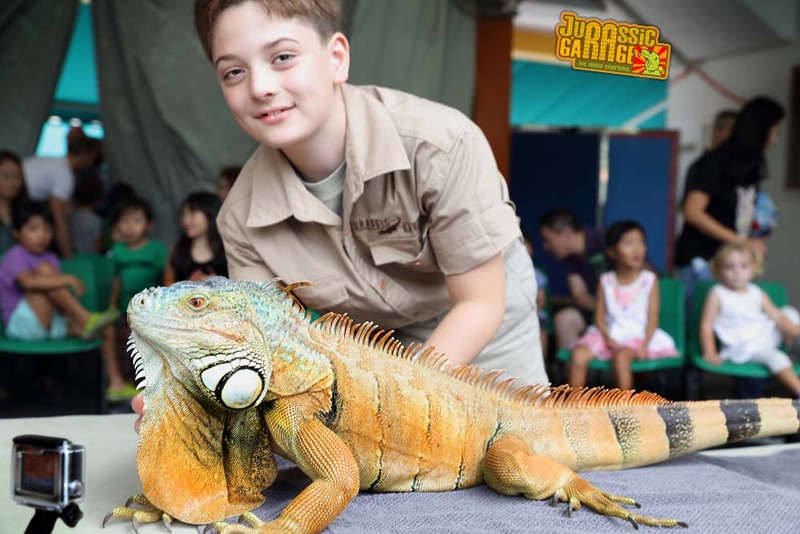 High-end packages provide our most impressive animals, together with hand-feeding and more crazy activities - perfect for a larger party in acountry club or hotel. Nevertheless, if the birthday boy/girl is a fan of animals the high-end packages would make it his/her dream party even if it's just a smaller party with a few friends. We can come to your home, residential club, country club, hotel, restaurant room, or other private venues. Uncrowded beaches and parks might also be feasible. We can do both indoor and outdoor presentations. During travel from our van all the way to your party room, animals are kept invisible from people to avoid getting too much attention. Our presentations are made to fit children of ALL ages (anywhere from toddlers to teenagers), boys and girls! 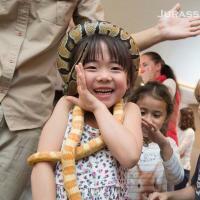 Many parents think that girls and younger kids would be scared of creepy crawlers and scaly reptiles. But from the 2,896+ parties we have done so far we believe it's safe to say that it's not true. Don't stereotype! What we learned from the past decade is that children are generally much much braver than their parents think and their parents themselves. Give them open-end opportunities. English is the medium for all our shows. However, upon request, we can also present in Cantonese, Mandarin, French or Spanish. From our experience it is not a problem for ESL (English as second language) children to enjoy our presentations in English. We could use very simple English. 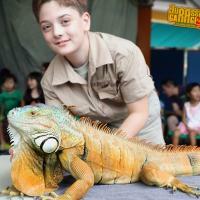 Our shows are more focused on hands-on experience and the interaction with the animals. 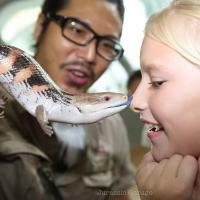 Specialized in Building Quality Interaction between Humans and Animals. Copyright © 1997-2019 Jurassic Garage Ltd.
All photos and articles on this website are copyrighted material and owned by Jurassic Garage Limited. All rights are reserved.